The YLM hybrid line of benders combines the speed and accuracy of electric servo bending control with the power of hydraulic clamping and boost bending. Utilizing the advance New Motion control software the control features sequence programming for reducing cycle times and working with part interference. 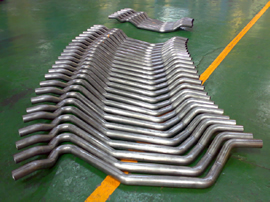 Applications include HVAC tube bending, air craft tube bending, structural pipe bending, automotive bending, and general bending applications. If your business is in the fabrication or manufacturing industry you will be glad to know that here at J&S Machines we offer some of the highest quality machinery and equipment in the industry. With a variety of pipe bending machines and tube benders that can handle a large number of tasks, we have the right equipment to finish the job. Our equipment is used by businesses ranging from automotive shops to aircraft manufacturing operations and everything in between. 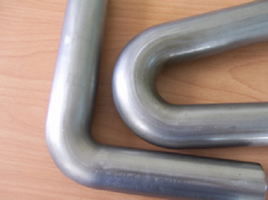 If your business is involved with metal fabrication, especially that which involves tubing or pipes, you will be interested to see the wide selection of tube benders and pipe bending machines we carry. One of our most popular models is made by YLM and it is the hybrid hydraulic-electric tube bender. This machine uses the best of both worlds by combining the accuracy of electric servo motors with the power found in hydraulic machines to give you a hybrid machine with advanced capabilities. Without sacrificing quality, this machine will allow you to drastically increase production rates. 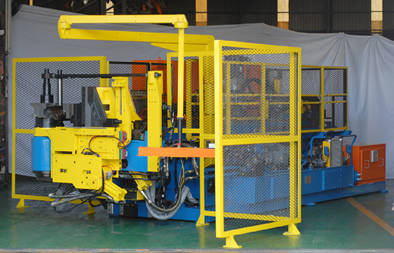 In fact, the majority of the time our customers not only experience an increase in production but also an increase in quality when using this hybrid pipe bending machine. We offer these YLM hybrid hydraulic-electric tube benders as a result of how popular this type of setup has become within the industry. This machine utilizes the New Motion control software which greatly reduces cycle time and in turn helps to increase productivity. This machine can perform just about any type of pipe bending operation you can think of and all with the ease of control offered by the New Motion software. The advanced capabilities of this YLM machine will also allow you to perform tasks that your shop previously was unable to handle. This is yet another reason why choosing one of these tube benders is a great way to increase the profitability of your business. The two major components that determine success for a fabrication shop are quality and quantity. The YLM hybrid hydraulic-electric tube benders allow your shop to succeed by increasing both the quality and quantity of work done by your company. The high quality equipment manufactured by YLM is made to the highest standards using durable and reliable materials. These are made for the long haul so you can depend on the consistent operation of your YLM machine. Our machines come with a 1 year warranty and here at J&S Machine we also offer extended warranties on most everything we sell. Our team of knowledgeable and dedicated individuals is what makes dealing with J&S Machine such a positive experience. From the moment you start doing business with us you will understand why so many people choose our business for all of their equipment needs. We have a commitment to giving you the highest quality customer service possible and we go to great lengths to make sure it happens. Find out for yourself how working with our company is not only a positive experience but it will also help your business improve efficiency and productivity.